Cesar (Carlos) Augusto Mirabelli was born in 1889 in Botucatu in the state of Sao Paulo, Brazil. From his earliest childhood, he demonstrated a strong interest in religion. He hoped to enter into the service of the Roman Catholic Church, but these aspirations were never realized, and he took employment with a commercial firm in Rio de Janeiro. Things did not go smoothly for Mirabelli on the job, and the strange happenings that had begun to occur around the place of business were soon attributed to the peculiar young man. While some of his fellow employees were drawn to the short man with the light-blue eyes, others found him arrogant and conceited and complained that his eyes seemed to look right through them. And then there were the eerie manifestations that seemed always to take place around him. rather than insanity. Costa conducted a number of tests with his patient and became the first doctor to verify the reality of Mirabelli's mediumship. Costa returned Mirabelli to Rio de Janeiro, where he arranged for the young medium to demonstrate his abilities. Under the strictest of controls, Mirabelli confounded an assembly of doctors by utilizing apparent teleportation to send a painting over a distance of several miles from one house to another. This experiment was reported in sensational detail in the Brazilian newspapers, and the career of the medium Mirabelli had been launched. 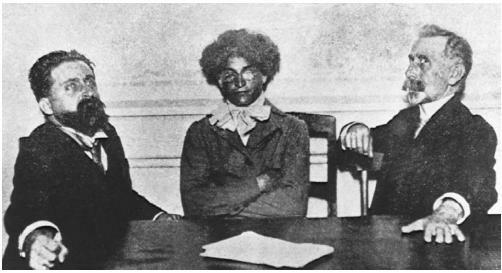 By 1926 Mirabelli had produced phenomena before a total of nearly 600 witnesses, most of whom had been recruited from the ranks of Brazil's leading scientists, medical doctors, administrators, and writers, with an occasional learned visitor from abroad. As a trance-speaking medium, Mirabelli particularly excelled in xenoglossy, the ability to speak in languages unknown to him in his normal state. Not only did he speak in foreign tongues, but he gave spontaneous lectures on philosophy, astronomy, sociology, politics, medicine, history, and the natural sciences. These speeches were delivered alternately in German, French, Dutch, English, Greek, Polish, Syrian, Albanian, Czech, four Italian dialects, Arabic, Turkish, Hebrew, Chinese, Japanese, and several African dialects, in addition to Latin, Ancient Greek, and his native tongue, Portuguese. linguists were said to be amazed at the masterful control that the medium exercised over each of the languages employed in these treatises. Such accomplishments are made the more impressive by noting that Mirabelli's formal education ended with primary school. As a physical medium, Mirabelli once materialized the spirit bodies of a marshal and a bishop, both long deceased, and both of whom were instantly recognizable to many who had assembled for the seance. Levitation seemed almost to be a specialty of the medium, and witnesses once observed him levitate an automobile to a height of six feet, where it was suspended for a period of three minutes. Once when Mirabelli visited a pharmacy, a skull rose from the back of the laboratory and came to rest on the cash register. Before a gathering of doctors, who lent their names to a deposition, Mirabelli caused a violin to be played by spirit hands. To exhibit spirit control, Mirabelli caused billiard balls to roll and stop at his command. At a party with more than a thousand guests in attendance, the medium conducted an invisible orchestra of trumpets and drums which entertained the astonished partygoers with a lively march. During numerous seances, Mirabelli caused such inanimate objects as books, bells, chairs, and chandeliers to move at his command. The list of doctors and other witnesses who attested to Mirabelli's psychic abilities include the names of many well-known persons. Time and again, psychical researchers subjected the medium to the most rigorous examinations, but none ever caught him in an act of trickery. While he was undergoing examination by the members of the Lombroso Academy, Mirabelli was bound to a chair in which he raised himself to a height of more than six feet and hung suspended for over two minutes. Several members of the academy walked beneath the levitated medium and satisfied themselves that they were witnessing an authentic phenomenon and not a magician's trick. During one seance held for the academy at the unlikely hour of 9:00 A.M., the dead daughter of Dr. de Souza materialized. The doctor recognized his daughter and the dress in which she had been buried. He was allowed to embrace the spirit form and numerous photographs were taken of the scene. The spirit being remained in material form for a period of 36 minutes. This seance was witnessed by a large assembly, including 20 medical doctors and seven professors. Investigated by scientists and psychic researchers from all over the world, the mediumship of Mirabelli offered yet another question mark to the skeptical mind and another source of reassurance to the believer. In 1990, Dr. Gordon Stein found a picture in the collection of the London Society for Psychical Research that depicted Mirabelli in a white laboratory coat levitating to a height of several feet in the air. The photograph was inscribed to Theodore Besterman, an SPR researcher who was known to have visited the medium in August of 1934. At the time, Besterman had prepared a contradictory report about Mirabelli's paranormal abilities which, according to Mirabelli's defenders, reflected more upon Besterman's inexperience as a psychical researcher than the medium's ability to produce genuine phenomena. 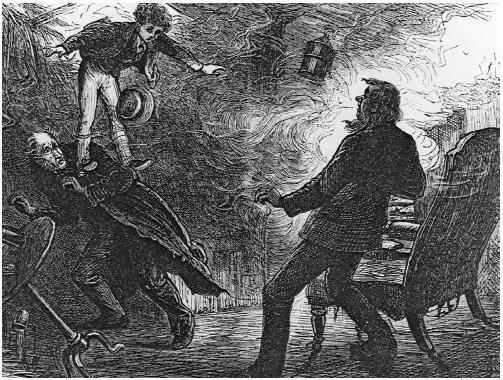 In 1992, Guy Lyon Playfair published an illustrated article about the incident in the Journal of the American Society for Psychical Research in which he points out that the famous levitation photograph reveals signs of careful retouching which eliminated the ladder under Mirabelli's feet. Proponents of Mirabelli's mediumship argue that if the photograph was deliberately faked by Mirabelli, it would be the first evidence of trickery on his part ever discovered by any investigator.